The Novotel Karon Beach is probably a bit more than an hour from Mai Khao Beach depending upon the traffic and any roadworks taking place, but we just sat back and let the driver do his job. On the way we got him to stop off at an ATM to pick up some cash. Having never been to Phuket before it was interesting to just look out of the window at all the development underway. 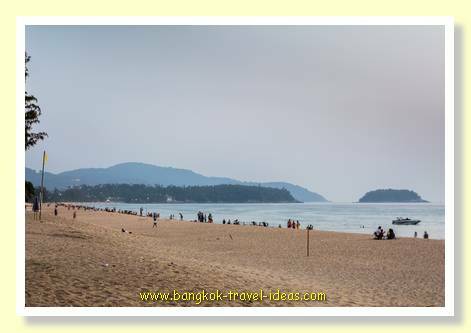 Once we got passed Patong then we were well on our way to Karon Beach. There were a few steep hills that would be a driver's nightmare in wet weather. 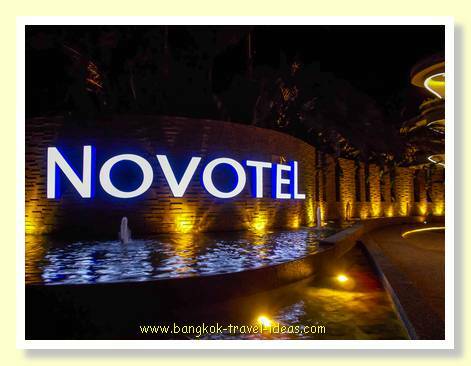 As we came down the big hill into Karon Beach then the very first hotel is the Novotel. Luckily for us, I spotted the sign and the driver pulled into the reception area. I think the taxi fare was about 1400 baht. The hotel had only just opened for the 2015 season and there was a promotion on the room prices as it became established. The room rates were about half of those compared with anything else I could find available and I hoped it was going to be okay. With a brand name like Novotel there should not be too many problems, I thought. 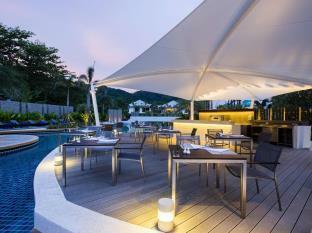 Novotel Phuket Karon Beach Resort and Spa is ideal for that winter vacation. Located not far from the renowned beach and close enough to town for a relaxing stroll to the shops, it is perfectly situated for a blend of peace and quiet as well as evening fun. The hotel offers various recreational opportunities and an inviting swimming pool area with sufficient sun for the most ardent sun worshipers. 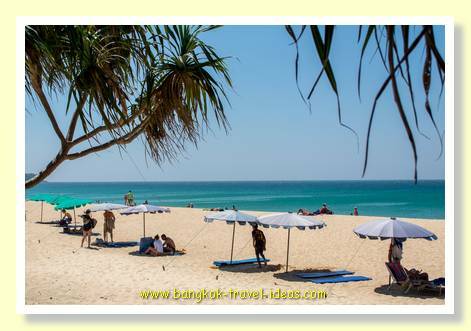 Umbrellas keep the sun from those with fairer skin and the water temperature is extremely comfortable and refreshing. Fortunately for us we got a great room with its own small pool and which was not too far away from the main hotel swimming pools. After the obligatory unpacking, we took a walk out of the hotel to get our bearings and have a spot of lunch. 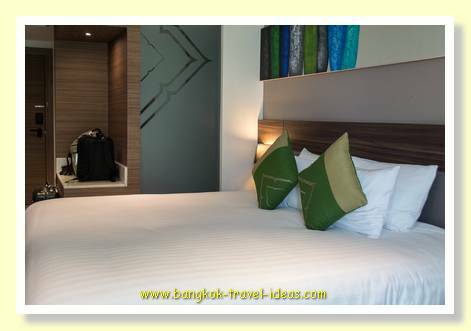 The Novotel Karon Beach is perhaps a 200 metre walk away from the beach. Close enough to be convenient but not close enough to keep popping back to your room if you tend to forget things . We stopped for lunch at a small restaurant at the back of the beach and just relaxed in the breeze and watched the people go by. After a bit of a rest we walked to the town and down to a second beach just to see what was there. By this time it was mid-afternoon and fairly hot in the sun. This was in the period when beach chairs had first been banned from public beaches, but there were beach mats and umbrellas available to rent. There were some large speedboats moored just off the beach. At the beach margin there was some nice natural shade given by the tropical trees and we just stood and waited there for a while, just looking out to sea and watching what was going on. We set off back and found the main street to explore later on and just headed back to the hotel to relax. 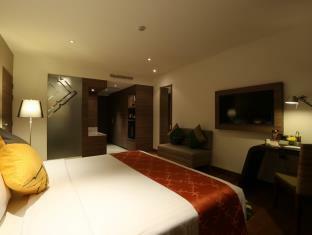 The Novotel Karon Beach is a new addition to the Accor range and it looks to be a new construction in 2014. The pool area was great and to be honest, for the rest of our stay we just stayed around the pool, going in for a dip when it go too hot and ordering food and drinks when we got hungry or thirsty. Everything that we needed was at the hotel. Most evenings we also ate dinner at the hotel sitting around the pool. Every night there would be a theme to the food offering. Sometimes it was seafood buffet or pizza night or another food focus to draw you in. 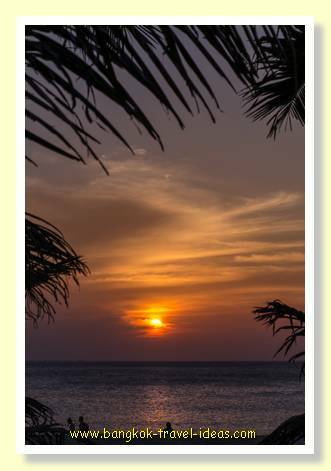 We did manage to get out of the hotel one evening and took a walk to the beach to take in the sunset. After spending about 30 minutes watching the sun go down over the water we started to walk into town. 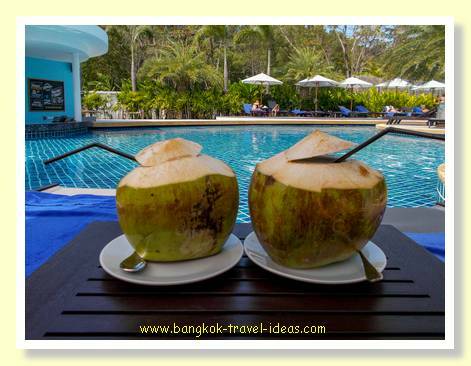 Now when people talk about Phuket being commercialized and geared to the European tourist they are quite right. Every restaurant had the menu in multiple foreign languages and with a main selection of European dishes. 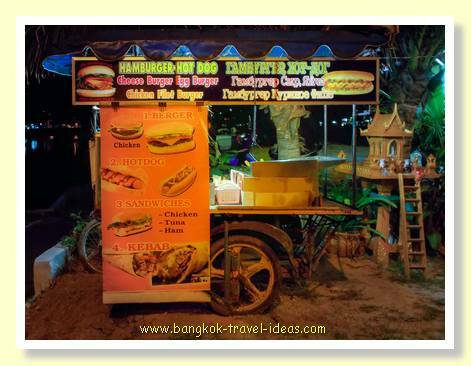 Even the small carts that sell food by the roadside and where you would traditionally expect Somtam were selling Paella, sausage and pizza, all to cater to the influx of tourists from Russia and Europe. This is not my idea of Thailand. We wandered from the beach into the town area and started to walk up the hill looking for a restaurant to eat in. The street was crowded with parked motorbikes and we had to dodge amongst them as we walked up. Bars were opening up and greeters tried to entice us in. It is funny how a good restaurant can stand out amongst the others and so it was this time. 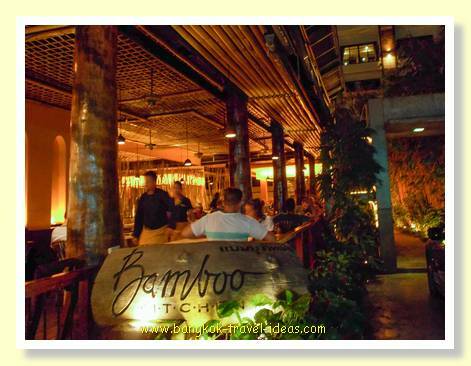 We went into the Bamboo Kitchen and sat down and ordered food and drinks. Whilst we waited I spotted a TripAdvisor award sign on the bar area for the year 2014. At the rear of the restaurant was a large guest house which was obviously very popular judging by the number of people coming and going. 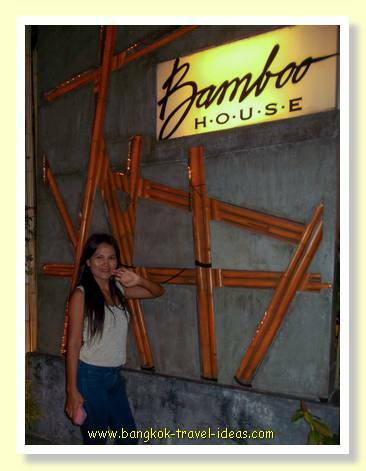 Upon my return to Australia I researched the Bamboo House in Karon Beach and there is more information about them here. After eating, it was an easy downhill walk back to the Novotel. On the way we stopped in a small pool bar for a drink, but didn't stay long and soon headed back to the hotel. Overall I wasn't particularly impressed with the experience. 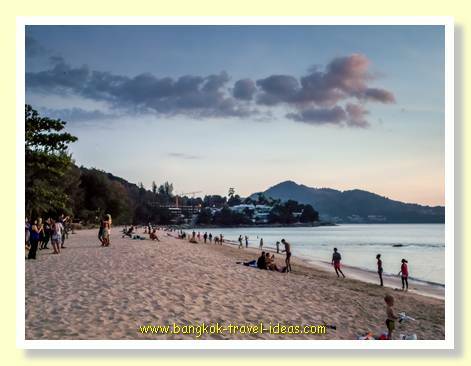 If tourists are coming all the way to Phuket to experience this, then they should really broaden their horizons and try to see some of the other more enchanting locations that Thailand has to offer. 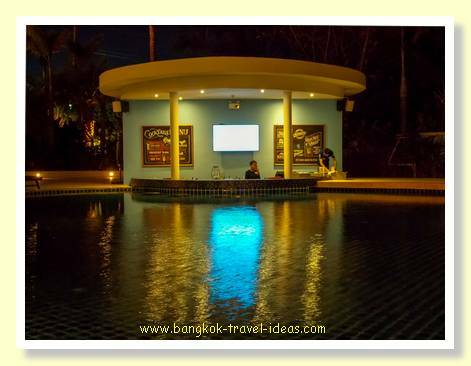 This was the last time we visited the small town of Karon and we had enough fun just sitting around the pool and relaxing. 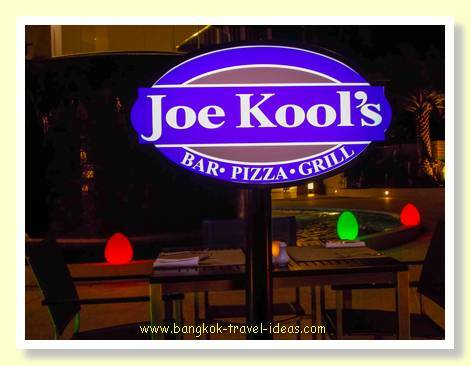 In the evening we enjoyed all the fare that the Novotel Phuket Karon Beach had to offer.